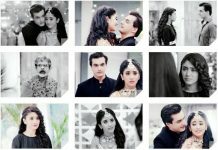 Yeh Rishta Unfortunate jinxed twist. There is a major twist in the show because of the car accident. Naksh and Kirti meet with a fatal accident. Kirti’s life gets in danger. Kartik speaks to the inspector and rushes to the accident spot. He runs on the road and cries thinking of Naksh and Kirti’s memories. Naksh and Kirti’s state shocks Kartik. He can’t see them covered with blood. Police calls the ambulances. Kartik accompanies the police and takes Naksh and Kirti to the hospital with high hopes that they will survive. Naira’s bad dream becomes a reality. Kartik gets worried and talks to Naksh and Kirti. He tells them that nothing will happen to them, even their baby will be fine. Kartik asks Kirti if she can hear his voice. Kirti doesn’t open her eyes. Kartik cries for her and asks doctors to treat Kirti fast, she is pregnant. Dadi also felt that some bad happening is due, since she was sensing it since some time. Even Naira was upset and thinking that something bad will strike them. She didn’t know Naksh and Kirti will be meeting with the deadly accident. 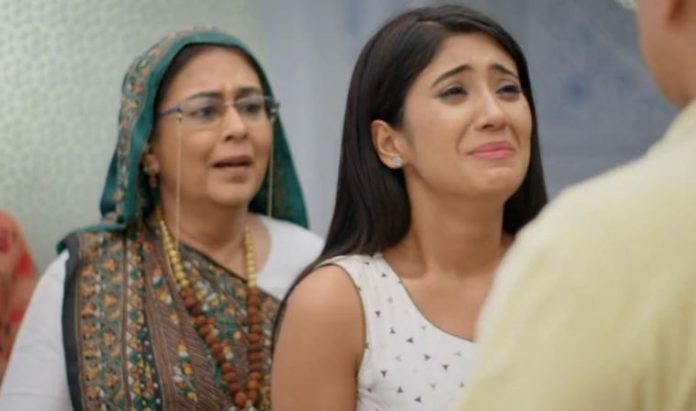 Dadi and Naira’s fears are proved true. Kartik sends Naksh and Kirti for the treatment and gets praying for them. He wishes they both succeed to fight back for their lives and coming baby. He fears to inform the family about the accident. Doctor informs Kartik that Naksh’s condition is stable, he is out of danger, but sadly Kirti has slipped in coma. Kartik talks to Naira at that time, which makes her overhear the shocking news. Naira informs the family about Naksh and Kirti’s accident. Manish and Akhilesh reach the hospital and ask Kartik about the accident. They ask how are Naksh and Kirti, what’s their condition. Kartik gets speechless to answer them. He also gets in shock. Naksh recovers a bit and runs out of the ICU to see Kirti. He asks Kartik where is Kirti, how is she. Kartik tells them that Kirti has slipped in coma and hasn’t delivered the child. Naksh gets a huge shocker with this news. He fears for his child’s safety. Kartik is the only witness of this mishappening. Manish tells him that Kirti is a fighter and will come back to the family by her strong will. The series of shockers will not stop for Goenkas and Singhanias. There will be worse news for them with Kirti’s death track coming up. Naira gets labor pains after hearing the shocking news of Naksh and Kirti’s accident. Naira goes for the check up and gets a bad nightmare again. She gets to see Kirti’s dead body and panics. She gets premature labor pain and gets worried for her baby’s safety. The family asks Kartik to go to Naira and manage her well being, since she isn’t aware of anything that happened. Kartik doesn’t want to leave Kirti and go. He wants Kirti to come out of the coma and survive for their sake. Doctors inform Goenkas that they have to deliver Kirti’s baby by operating her so that the baby’s growth doesn’t stop. Naira gets the vision of Kirti lying dead and thinks of her old dream turning true. She doesn’t want Kirti to die. She prays that her next vision doesn’t get true. Naira will be fighting with her fears. Naira gets fainting in the hospital. Doctors rush her for treatment when she loses consciousness completely. Naira’s baby falls in big risk. Will Naira lose her baby? Keep reading.